After a 28 year career in the insurance industry and 15 years as a high school math teacher I retired from full time employment in the summer of 2015. I have been an active North Carolina Real Estate Broker since 2005 and began working with PROACTIVE Real Estate in 2017. I have a long history with Holden Beach. Nearly 47 years ago my husband and I honeymooned here and vacationed on Holden Beach at least once every year until 2003 when we realized a life-long dream and moved to the coast. 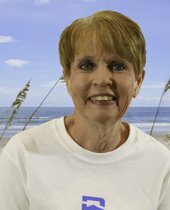 I am involved in the community and serve on the Holden Beach Parks and Recreation Board and am active in the Holden Beach Beautification Club. We enjoy life on the coast with our beloved golden retriever, Bella. My husband and I have a son and daughter-in-law who live in Denver, CO with our granddog, Trey. Our first grandchild will be coming to us later this year. We are excited grandparents-to-be.